Crowns provide a unique set of advantages over other treatment options. If you have misshaped or structurally compromised teeth and want to improve your smile or bite, you may be a candidate for dental crowns. Known as a tooth cap, a crown is a tooth-shaped device that is placed over and permanently affixed to your tooth. 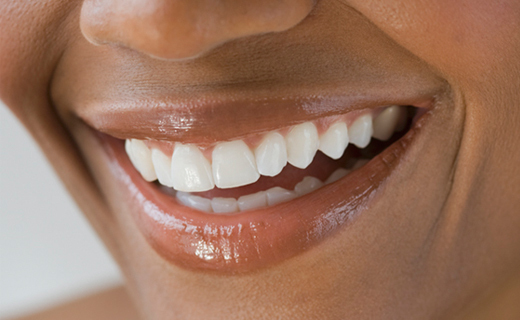 The crown encases the entire tooth that is visible above the gum line. Designed to restore the size, shape and strength of your tooth, the appliance can improve your smile and appearance. A crown can protect a tooth that has undergone a root canal and secure a bridge in place. What Kind of Dentist Offers Crowns? There is no reason to consult a dental specialist for a crown. Like a filling, a cleaning or a root canal, receiving crowns for teeth is considered a routine procedure. Schedule an appointment with our family and general dentists if you believe that you need to get a tooth crown in Frederick. Tooth crowns are made from a variety of allergen-free materials. Each type has its own set of advantages. Porcelain crowns are made from dental ceramics. Because it can be easily matched to the color of your existing teeth, ceramic is a popular choice for a front tooth crown. Along with its aesthetic appeal, ceramic is highly durable. Porcelain-fused metal (PFM) crowns feature a combination of a ceramic veneer affixed to a metal substructure. More durable than ceramic alone, these crowns provide better protection from possible tooth decay because of a tighter seal. All metal crowns are made from gold, copper, silver or other malleable alloys. They offer excellent durability and are easier to fit. Because they are less aesthetic, these appliances are typically used in less visible positions. There are several steps required to prepare your tooth for a crown. It may entail two or more visits. During the first visit, the doctor will evaluate your tooth and make the mold. If additional work is required, another visit will be scheduled. You will receive a temporary stainless steel crown to protect your tooth. Once the permanent crown is ready, you will come back and adjustments will be made so that it fits comfortably. The cost of the procedure will depend upon the extent of the dental work that you require. Another factor is the type of crown that you select. It may be less expensive to create a gold crown tooth than a ceramic crown. Call our office if you would like more information about the costs and benefits of dental caps. With proper care, crowns can last for many years. Along with brushing at least twice per day, the American Dental Association recommends daily flossing. You should also practice good oral hygiene by having your teeth cleaned regularly. We can handle all your routine dental care. Contact our office to schedule an appointment.